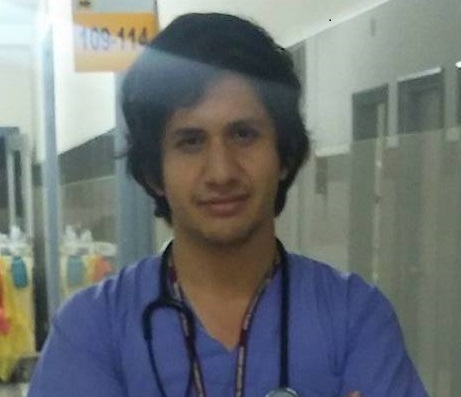 I write these reflections as a senior medical student in Lima, Peru. The clinical rotations were most attractive to me as they were packed with opportunities to face diagnostic challenges and craft treatments for complex health problems. This was fun, but more awaited me as I took on a rotation in the primary care center. I did not expect much would come of this, until it did. My experience in ambulatory care involved patients not really heard or examined properly treated in ways that lacked clear scientific basis. I was surprised by how often patients were treated as a person in the family medicine clinic. Focusing beyond the disease, clinicians took time to hear the complaints and reasons for the consultation, to acknowledged the context of each person, and to discover the patient’s story, the complete one. s and systems, I saw the value of a holistic approach. With this perspective, it is evident that the whole is not equal to the sum of its parts, but is enriched by their inter-relationship. The biological, psychological and social spheres of a person substantially influence each other and their health. Thus solutions require multidimensional thinking. For example, a patient with diabetes, hypertension, coronary heart disease, knee osteoarthritis and low back pain cannot achieve optimal health if abandoned at home with no interaction with others. The patient may also have negative ideas about their current living conditions. Family medicine takes these aspects into account and listens to the patient to propose comprehensive solutions, and the process of identifying and vetting them should be informed by the best available and pertinent research evidence. Medical decisions are not made for the patient, but with the patient, empowering patients and engaging in shared decision making (KER Unit SDM). Understanding the health needs and expectations of each patient, and understanding what problems the patient wants to solve and how it may affect other areas of the patient’s life is central to the practice of family medicine and of the medicine I would like to practice. I have found these principles in Minimally Disruptive Medicine (MDM), a humane, conscientious and comprehensive health care model that pays special attention to the work of being a patient. I see MDM as naturally fitting in the work of family physicians, and in my professional activities once I become a physician.